On October 12, 2006, Islamist websites posted a video showing six white-clad, masked individuals who, according to the websites, were taking a traditional Arab oath of allegiance known as hilf al-mutayyabin ("oath of the scented ones"). 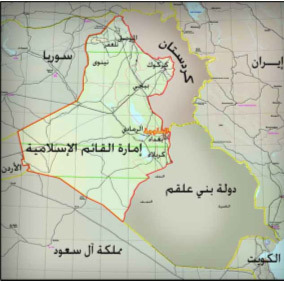 The websites claimed that the individuals taking the oath represent four jihad groups in Iraq - the Shura Council of the Jihad Fighters in Iraq; Jaysh Al-Fatihin ("The Army of the Conquerors"); Jund Al-Sahaba ("The Army of the Companions") and Kataib Ansar Al-Tawhid wal-Sunna ("The Monotheism and Sunna Brigades") - as well as "many of the sheikhs of the faithful tribes [in Iraq]." During the ceremony, the participants declared: "We swear by Allah…that we will strive to free the prisoners of their shackles, to end the oppression to which the Sunnis are being subjected by the malicious Shi'ites and by the occupying Crusaders, to assist the oppressed and restore their rights even at the price of our own lives… to make Allah's word supreme in the world, and to restore the glory of Islam…"
On October 15, 2006, Jaysh Al-Fatihin announced that although it would have been happy to take the oath, it was never informed of this initiative. The Shura Council of the Jihad Fighters in Iraq replied, on October 16, 2006, that this announcement must have come from the fifth brigade of Jaysh Al-Fatihin, which, unlike the organization's other four brigades, had not yet pledged allegiance to the Shura Council. The Council expressed its hope that this brigade would join its ranks soon. On October 15, 2006, Islamist websites posted a video in which the Shura Council of the Jihad Fighters announced the establishment of an Islamic state in Iraq. The individual who delivers the message, whose face is obscured (see photo below), is identified in the video as "the official spokesman of the Islamic State." He explains that, since the Kurds and the Shi'ites have established de facto states of their own in Iraq, and since the Iraqi government headed by Iraqi Prime Minister Nouri Al-Maliki has betrayed the Iraqi Sunnis and robbed them of their rights, the jihad groups that have recently taken the "oath of the scented ones"  have decided to establish an Islamic state which will incorporate the Iraqi provinces of Baghdad, Al-Anbar, Diyala, Kirkuk, Salah Al-Din, Ninveh, and parts of Babil Province (see map below). The announcer adds that the purpose of establishing the Islamic state is twofold: to unite the mujahideen and prevent fitna, and to make the word of Allah supreme in the region. He calls upon the Sunnis around the world to support the newly established Islamic state, and urges the Sunnis in Iraq to pledge allegiance to 'Umar Al-Baghdadi, who is referred to as amir al-muaminin, a title traditionally given to the Muslim Caliphs. According to classical Islamic sources, hilf al-mutayyabin was an oath of allegiance taken in pre-Islamic times by several clans of the Quraysh tribe, in which they undertook to protect the oppressed and the wronged. The name "oath of the scented ones" apparently derives from the fact that the participants sealed the oath by dipping their hands in perfume and then rubbing them over the Ka'ba. This practice was later adopted by the Prophet Muhammad and incorporated into Islam. See report above: "Jihad Groups in Iraq Take Oath of Allegiance."